Why Isn’t a Porsche 911R Worth the Asking Price? Would you pay half a million dollars for a second-hand Porsche 911R? Porsche’s 911R is a limited-production marvel of engineering, a beautifully elegant interior wrapped in an extroverted shell of stripes and big wheels, a driver-centric manual-transmission gift to those truly enthusiastic among us. It is a great driving car from the brain of Andreas Preuninger, whose GT division brought us the GT3, GT3 RS, and Cayman GT4 that we all love so much. The vehicle is an old-school reminder that Porsche can build a road car that is more focused on the experience of enjoyable driving than it is on outright lap times. In a new clip from Doug DeMuro’s YouTube channel, the prolific auto journalist spends the first 10 minutes or so explaining why the 911R is the greatest Porsche he’s ever driven. He calls the car “tremendously precise” and “intuitive.” The thing he loves the most about the car is that it looks like a “normal 911” with GT3 RS power and torque. Anyone who knows Porsche will instantly be able to tell a 911R from any other 911, but we get what he’s saying. Without the boy-racer rear wing, the R looks quite sedate. Even the interior is much more sedate and classically handsome than the wannabe race car 911 GT3 RS. Is anything that looks like a ‘normal 911’ worth five-hundred grand? DeMuro doesn’t think so, even though he rates it as the best weekend car he’s ever reviewed. So why is the 911R not worth the price on the tag? Well, if you’ve been following the market on these in the last year and change, they’re now trading hands for three times the MSRP (which was around $180,000) and sometimes more. We’ve seen a couple of the right-hand drive versions sell in the UK for over a million dollars. Is anything that looks like a “normal 911” worth five-hundred grand? DeMuro doesn’t think so, even though he rates it as the best weekend car he’s ever reviewed (tied on points with Ferrari’s F430 Scuderia). What do you think? Is the 911R worth the hard earned cash, or are you holding out for a new GT3 with a stick? 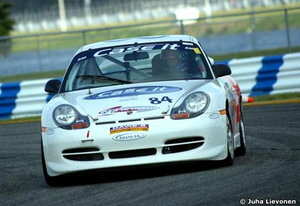 Bradley Brownell is a regular contributor to Corvette Forum and 6SpeedOnline, among other auto sites.